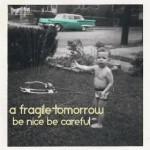 Their fourth full-length release, A Fragile Tomorrow’s Be Nice Be careful is their most mature effort to date. 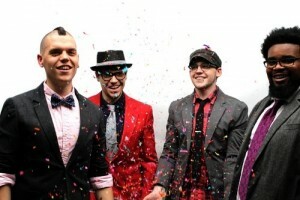 Sean Kelly gives us fourteen songs in all, a single tune having been co-written with fellow band members twin brother Dominic, younger brother Brendan, and Shaun Rhodes. The LP opens up with “Don’t Need Saving”, a rather cliche dismissal of the religious right. Don’t worry, it gets much better from there. “Crooked Smiles and Greedy Hands” offers some great guitar work and a contribution from the incomparable Don Dixon, who provides just the right soulful vocal embellishment to the end of the cut. There are some great melodies here that almost remind me a little bit of Cotton Mather. And then, A Fragile Tomorrow remind me more of Velvet Crush or REM at other times. “Kernersville” is just such an example. Imagine Velvet Crush meets The Monkees. This is the kind of infectious song that you’ll be humming long after you hear it. It’s an uptempo tune with Rickenbacker guitar jangle courtesy of Mitch Easter and some great background vocals from Debbi and Vicki Peterson of The Bangles. I’ve been trying to figure out why the song is called “Kernersville”. Kernersville is a small town in North Carolina where very little of note ever happens. Other than the notes that emanate from Mitch Easter’s studio, Fidelitorium, which is located within its borders. Regardless, Kernersville is my favorite song of 2013 so far. I can’t get it out of my head. And that’s fine with me. Other highlights include “Mess You Made”, “My Home”, and “Three More Hours”. This is a pretty good collection of songs. 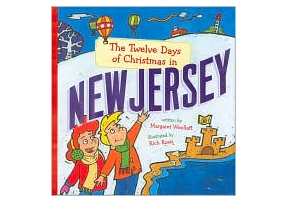 And with contributions from powerpop luminaries like Mitch Easter, Debbi & Vicki Peterson, Susan Cowsill (also on Kernersville), and Don Dixon, there is a worth of talent from which to draw.